Tadeu Coelho joined the artist-faculty of School of Music at the University of North Carolina School of the Arts in the fall of 2002. His flute studio at UNCSA has quickly been recognized as one of the top studios in the country, with an extremely high successful rate. Graduates from Dr. Coelho’s studio have successfully auditioned to the best schools in the country, including Juilliard, Eastman, New England Conservatory, Cincinnati Conservatory, Indiana, and others. Furthermore, Coelho’s students at UNCSA have won the school wide concerto competition as well as other state and national competitions. Several of UNCSA alumni hold prestigious positions at major US orchestras, universities and at other professional institutions. Dr. Coelho invites prospective students to a visit to the campus, where they can experience the high level of flute playing conducted at UNCSA. If you would like to make an appointment to visit the studio please see Dr. Coelho’s contact information below. If you would like to schedule a lesson, in person or through the internet, please email Dr. Coelho or visit the “Online Lessons” tab above. OBS. Performing by memory is encouraged but not required. Email Dr. Coelho if you have any question regarding audition or to setup a lesson. You may also email Dr. Coelho at his school email address, as some servers may have problems with a .com accounts. Woodwind Faculty at UNCSA: Tadeu Coelho, flute; Saxton Rose, bassoon, Robert Young, saxophone, Oskar Espina Ruiz, clarinet and Jaren Atherholt, oboe. Students in the High School Woodwind Program work toward developing excellence and ease in tone, intonation, rhythm, technique, articulation and musicality; confidence in performance; and learning standard solo and ensemble repertoire. The intimate conservatory setting provides excellent performance opportunities for all students, under the direct supervision of artist faculty members Tadeu Coelho, flute; Saxton Rose, bassoon; and Taimur Sullivan, saxophone. Students meet with the primary studio teacher for private lessons, master class, chamber ensemble, and sectional coaching for the larger ensembles. Additional performance in Orchestra, Wind Ensemble, the School of the Arts Contemporary Music Ensemble, and informal student organized ensembles, offers you the breadth of experience necessary for success in the music business. If you wish to specialize in the performance of jazz music you may choose to audition for the jazz ensemble, and enroll in jazz improvisation and jazz arranging. If you’re a double reed player, you will study reed-making, maintenance and repair. 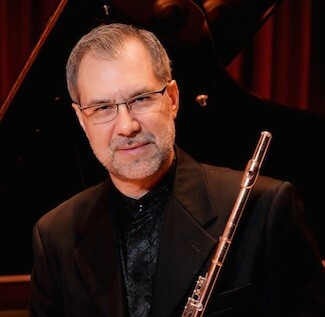 The goal of the undergraduate woodwind program at the North Carolina School of the Arts is to enable the student to refine technical skills and develop advanced interpretive techniques through the study and performance of significant works from the woodwind literature. All undergraduate woodwind students are required to perform a recital in their senior year. Ensemble participation is by juried auditions. Students may be chosen to perform with the Symphony Orchestra, Opera Orchestra, Wind Ensemble, Jazz Ensemble, School of the Arts Contemporary Ensemble, Cantata Singers and chamber music groups. As a conservatory, the School’s focus is on preparing students to begin their careers as performing artists; yet at the same time, the school actively involves the student with the practical aspects of earning a living as a musician. A combination of professional opportunities outside the School, along with this specially designed curriculum, widens the scope of the student’s career perspectives and constitutes a contemporary, market-sensitive approach to educating musicians.